Includes four different sizes of wood plugs and Plug N’Dyke Patty. 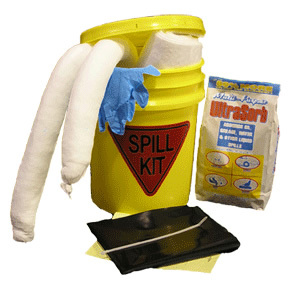 Add to any Spill Kit to effectively plug punctured tanks or drums. An essential addition to any Spill Kit. This Kit includes Plug ‘N’ Dike (10oz) and an assortment of 4 wood plugs. Use individually or combnined to temporarily plug a punctured drum or tank, or seal a punctured hose.